For open hours, go to "Tour Information" link. This two-story adobe has sheltered families, government officials, artists, writers and fishermen, beginning in the Mexican era. 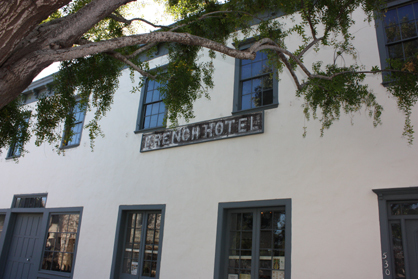 During its time as a rooming house, known as the French Hotel, a young writer, Robert Louis Stevenson, stayed a few months in the autumn of 1879. Poor, in frail health and unknown, Stevenson was cared for by friends while he courted his future wife, Fanny Osbourne. It was in Monterey that Stevenson penned the "Old Pacific Capital." Today, the Stevenson House has been restored with several rooms devoted to "Stevensonia." Two weeks advance notice required for private tours.